With dozens of tempting restaurants to choose amongst at Downtown Disney, how do you make a decision that will please the entire family? How does a large allergy friendly menu, live weekend Irish entertainment, a lively pub atmosphere, top notch service, and fun comfort food sound? Raglan Road, an Irish pub/restaurant, is Downtown Disney's best restaurant and one of the best choices for those following a gluten-free diet. Raglan Road features a long menu of Irish favorites like Fish and Chips, Irish breakfast plates, Baked Haddock, Shepherd's Pie, Butternut Squash Risotto, and much more. Because they make everything from scratch, most menu items can be modified to be gluten and/or dairy free. This is one of the few restaurants that I have seen use a dedicated fryer and actually offer a few gluten-free appetizers (gluten free onion rings, scallops, and french fries were available). The onion rings were the best I've ever had, not to mention an enormous serving for only $5! I would definitely order again, especially considering I've rarely come across GF onion rings in the freezer section of any grocery store. They even have a few gluten-free dessert options available, including a delicious Strawberry and Apple Crumbler. Mike really enjoyed the Fish and Chips, which usually is immediately off limits on a gluten-free diet. It was a bit pricey ($20) for the small serving, but worth every penny for the shear ability of being able to order a fried dish like this in any restaurant. The Butternut Squash Risotto was fantastic (even though I had to skip the butternut puree because it contained dairy). It was so flavorful and creamy; the perfect fall dish on a cooler Florida fall day. Don't be afraid to inquire about any questionable ingredients at Raglan Road. The employees have no problem whatsoever answering any questions and/or verifying modifications with the chef. In addition, you can email the restaurant in advance and they will send you a detailed spreadsheet of allergens found in each dish, including a note as to which dishes can be modified according to your preferences. Almost everything besides the table bread and the soups can be modified. 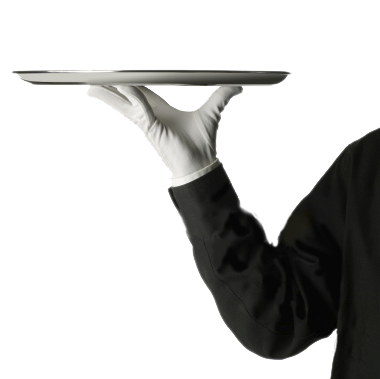 The waiters really pay attention to special diet needs, for example, by not bringing out certain sauces and the bread if you are gluten-free. Once you tell them about your allergies, they will ensure that no condiments are brought out containing said allergen. Service at Raglan Road was extraordinary. Unlike some restaurants where servers have absolutely no knowledge on allergens, our waiter at Raglan was able to fully explain the ingredients in all dishes and was well informed about gluten intolerance. The chefs change their gloves and use separate fryers for gluten-free dishes. They also send someone out to verify that your dishes are the gluten free versions. Now this is the way every restaurant should treat gluten-free guests! What a refreshing change to not feel singled out because you cannot enjoy the same foods as everyone else! The interior of the restaurant is gorgeous with several bars, beautiful decor, and beautiful architecture. The setting is truly wonderful, very authentic. The owners and chef are from Ireland, and the beautiful building, decor, and furnishings were all imported from Ireland, creating the true ambiance of being in Ireland. Brunch is an ideal time to visit due to the presence of live Irish dance performances (from noon-4pm during brunch hours). Raglan has a wonderful Irish setting with live step dancing performances, making it a fantastic place to visit on St. Patrick's Day. Daily live music shows run on the hour from 5-10pm. We really enjoyed watching the show while enjoying our delicious meals. We really felt like we were dining in Ireland. I will definitely be visiting Raglan Road again on my next trip to Walt Disney World. The service, setting, and food were all spectacular. Additionally, the allergy friendly menu and great treatment of guests with special dietary needs is unfortunately hard to come across. Do yourself a favor and enjoy a wonderful authentic Irish meal before or after your day at the parks.